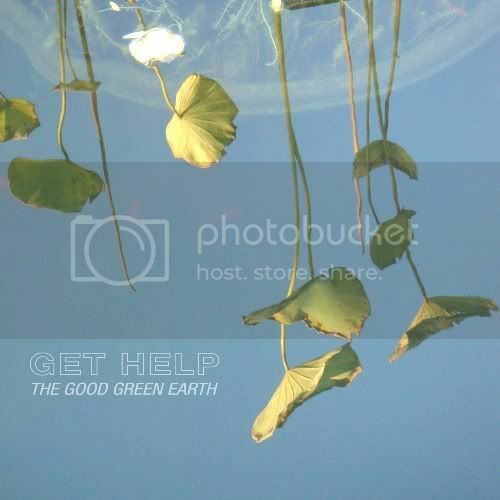 Get Help's sophomore effort The Good Green Earth is out today and we needed to fit it into our publishing schedule. The band was formed basically as an excursion in songwriting, and its survival speaks to how well the players have gotten on over the last 2+ years. The proof as they say, is in the music. In 2008, the band released The New Country - we were immediately impressed with how accomplished it was for a band first effort. Driving players in Get Help were song scribes Tony Skakily (of Boston's The Beatings) and New York's Mike Ingenthron (Strikes Again! )- this time around we hear more of a full band experience, with John Van Atta (bass) and Gene D’Avolio (drums) holding more significant pull on this record. Heft is more like it. Evolution of the band's sound (this is clearly now a live band) here speaks volumes for a successful songwriting process and full, productive recording sessions. (Recorded by Ray Jeffrey at Liberty and Union Recording Co., in Taunton, MA. It was mastered by Eric Baird at Half Son of Audio, Roxbury, MA.) Think you'll agree the product is pretty inspired... Efforts like this need to be celebrated.